Cloud computing is rapidly transforming the IT landscape, and the conversation around adopting cloud technology has progressed from “if” to “when.” Enterprises are showing strong interest in outsourced (“public”) cloud offerings that can help them reduce costs and increase business agility. These cloud services offer enormous economic benefits but they also pose significant potential risks for enterprises that must safeguard corporate information assets while complying with a myriad of industry and government regulations. 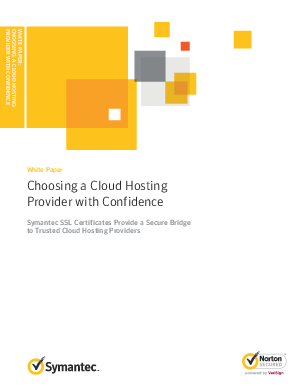 Read this white paper to find out what Symantec is doing help to bridge the gap to cloud computing!